Fox Hollow Studio: Grow Your Blog Party! 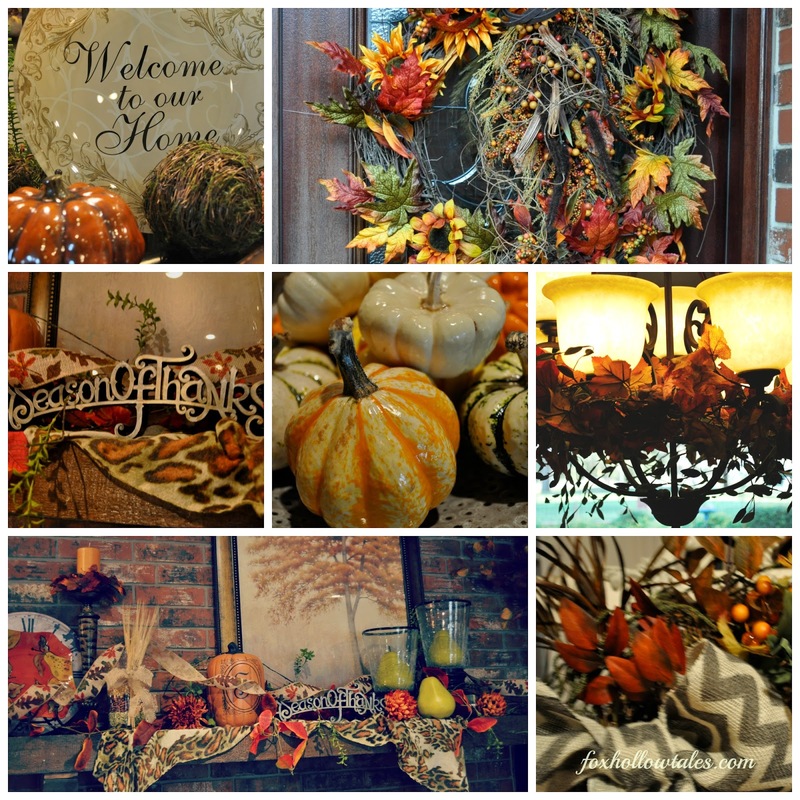 Welcome to Vicki's of 2 Bags Full Blog Grow Your Blog Party; I'm so glad you're here! Hundreds of bloggers are joining in on the fun of finding new blogs and meeting new blogging friends. 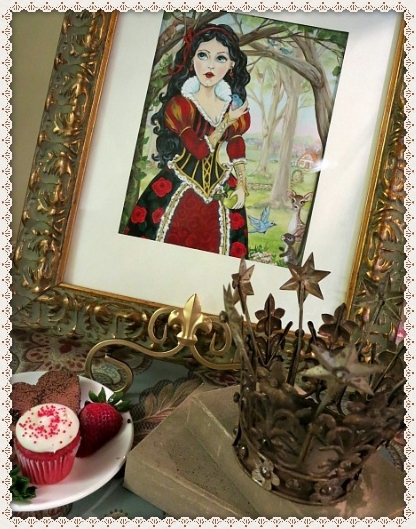 It's going to be a grand party...so, welcome to Grow Your Blog Party and Fox Hollow Tales. My blog is about my life outside of selling real estate, which includes life at home, gardening, cooking, decorating and entertaining. I enjoy sharing my travels with you, since I have been fortunate to travel to many interesting destinations. And I love taking photographs. I hope that you will come back and visit me often. Please take a few minutes to look around here, and perhaps even choose to follow me. In appreciation to those that sign up as my new followers and leave a comment, I am going to give away a piece of my newly created pieces of jewelry. 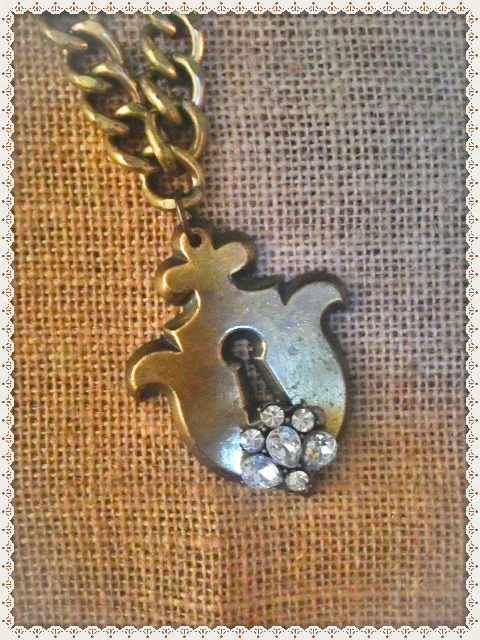 It is a multi-strand necklace with a vintage lock adorned with a vintaged jewel piece. I hope you are the winner! I think you will enjoy. I'm visiting from the GYB party and there are so many talented crafters participating. I love what I can see of your mixed media art - do you have an online shop, or do you just sell at art fairs? What a lovely blog you have. And you are quite talented! Hi, I am now following your blog. I enjoyed stopping by. I love photography and am glad that you travel and share your photos. Also I'm a fellow "cat lover" so it was fun seeing your kitties. Have fun with the GYB hop today. Scrumptious photos!!!!! 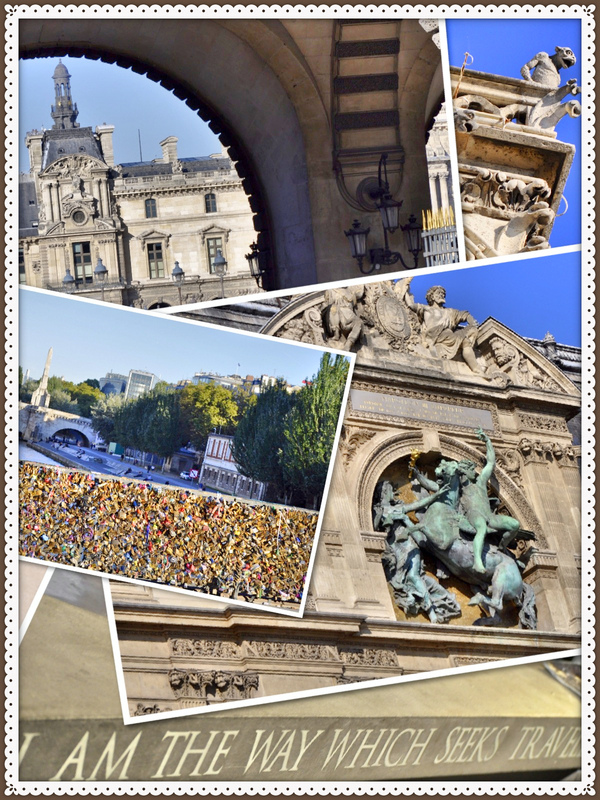 I am going to pop back and poke around more (I hit follow by the third photo!) Have fun on GYB Day! Hi Teresa! It's so nice to meet you and explore your lovely blog! I'm an enthusiastic GYB visitor...and ever so happy to get acquainted with you! I think your cats' names are inspired! (Franki Kohler @frankikohler.com has an adorable dog whose name is Mendelsohn...I bet he'd fit right in with your two artistic critters) Your painting of the lovely lady in red -- is she Rose Red from the fairy tale? -- is so vivid. Your creativity is beautifully showcased in your blog. I'll be a frequent visitor. Hi Teresa, I found your blog via the GYB party...I'm now a follower and will be visting again on a day less hectic! Chopin and Monet are adorable, and your photos are beautiful. Australia calling! Just flown in from GYB, will enjoy keeping up with your crafts and travels as your latest follower. I really love your mixed media art. Do you sell it online? I'm not a GYB participant but it is how I landed here. I am following you now and I would love a chance to win that pretty necklace. Thank you. Dropping by on the GYB party.. such fun! Looks like you have lots of fun with all your projects! !Loved seeing your travel photos too. Enjoy GYB. Lovely blog. I am going to enjoy following you I am sure. Happy hopping! I was too late to join the party so I am visiting you on my own! Love your kitties, and travel adventures! 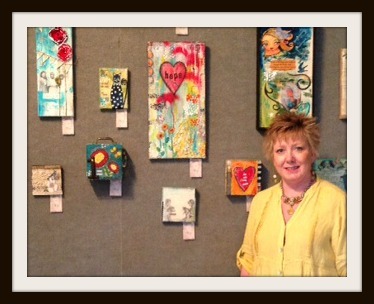 Hi Teresa, visiting from "GYBP", admiring your mixed media art and gorgeous jewelry. Thanks for sharing your great blog,looking forward to many more visits. Hi Teresa and nice to meet ya. I look forward to seeing all your beautiful photos and seeing stories about the furry kids. Your art is lovely, as is your blog. I was glad that I'm not the only one who posts pics of her cats! I'm now a follower, and look forward to visiting often! visiting via Vicki's GYBP...I'm late to respond to your note...I apologize...tremendously cold and my old bones ache from farm chores. give me a bit more time, I'm good for my word but I am *exceedingly* slow...unless it's tending to the animals and the farm. A nice post that I enjoyed reading. Cute cats! Thanks for sharing your blog. I can't wait to read more posts. I am an embroiderer participating in Grow Your Blog too. What a lovely blog you have. You look like you have a great time traveling and your mixed media art is very nice. Kitties are so therapeutic. So nice to meet you. Lovely pictures, especially the fall composite! Thanks for sharing. Hi Teresa...I love your art work...so inspiring! I added myself as a GFC follower!! :)Nice to meet ya! Hi Teresa! visiting you from gyb party ... what a fabulous blog filled with some great eye candy. I am now following you! Your have a very cool blog. I'd love to see what you do next, so I am a new follower! This is a wonderful blog and I'm glad I made my way here via GYB. I'm in love with Chopin and Monet....they are adorable. Wishing you luck and hope to stay connected. 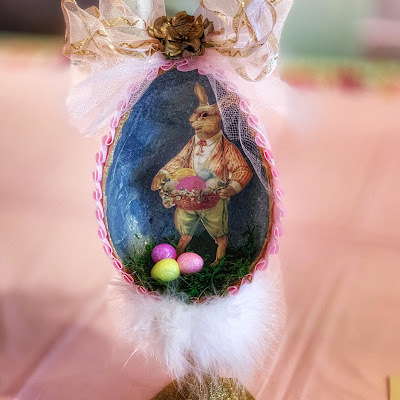 The blog hop is such great fun! Your travels must be interesting and inspiring. Following for a a while to see what you are all about on the blog. I am visiting from the GYB hop. It is very nice to meet you. You have a lovely blog. I am a new follower! Your kitties are beautiful. I am a new follower via e-mail. 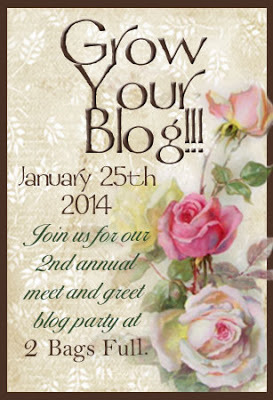 Thank you so much for stopping by my blog for the GYB event! Glad to finally have returned the favor and now am following you so I can read more about your crafts and your beautiful kitties! I just started traveling to art events too. Maybe someday I'll get to meet you! Your giveaway is gorgeous! I'm following you now. It's lovely to meet you at Vicki's party! Reading everyone's posts it's really amazing how similar we all are - basically we love our families and enjoy being creative - we're the same the world over! Your two Burmese cats are so sweet and I can tell you spoil them!! Travel is a part of my life too - it opens up a whole new world - as does blogging! What a beautiful giveaway necklace you've created - I'm keeping my fingers crossed! I'll be back to see you again once the party winds down. I'm now following you Teresa. I would love you to come over and meet me and enter my Giveaway - a vintage fabric and lace collage. I am visiting you from South Carolina with Vicki's Grow Your Blog party. Your blog is lovely. I, too, am a lady of many interests, which include, of course, my family. God has blessed us with 2 daughters and 5 much-loved grandchildren. I am a life-long crafter. It is my belief that we are never too old to learn new things. Your feline family members are beautiful. I noticed one has green eyes and the other's appear to be an amber color. I will be following your posts through Google Friend Connect. If you can find time, I hope you will visit me over at Mimi Mine! I began a comment to you earlier, but it seems to have gotten lost in cyberspace. It has been nice visiting you through Vicki's GYB party. 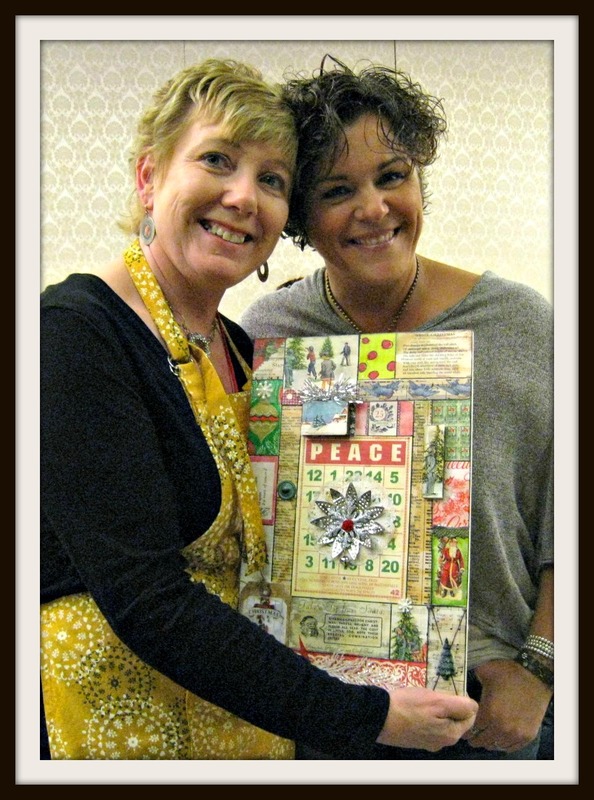 I am an avid crafter, love to sew and adore going places, seeing and learning new things. Your feline family members are beautiful. I notice that they have different color eyes, one cat has green and the others appear to be an amber hue. I am signing up to follow you with Google Friend Connect. Perhaps you can come to visit me over at Mimi Mine. Have a beautiful weekend! Hello Teresa, just visiting from GYB party. You have a great blog and such gorgeous cats too. I'm looking forward to reading more about you and following you. Delighted to take your follower numbers to the big 50. Hi Teresa, What a great blog I have enjoyed looking around and learning a bit about you. I love all the pictures and the beautiful Burmese cats. I hope you will visit me when you get a minute! Wow I love my visit. Didn't realize that there is so much going on in cyber world. Forgive me for coming to the party at the last minute, But 600 blog reading was a little tasking. I wanted to read and get to know the girls so I did read everyone's bio. Your my 584 blog and 24 hours left to go. If you like come visit My site http://overboardcreations.blogspot.com/and contact info is http://ovr_brd@yahoo.com I believe inspiration comes from all facets of life even knowing the great people out there with wisdom and knowledge the do's and don'ts and even the wonders of life from a personal point of view. I liked you following you on goggle connect and Bloglovin you. hope to see you in the cyber neighborhood I am new to blogging so I don't have a lot posted because I got side tract with GYB party. Kind of felt it was important to have some one read my silly chatter. I can't remember a time I didn't dabble in something creative. I tried a little of everything. But, my new love these days is Card making I just love it. 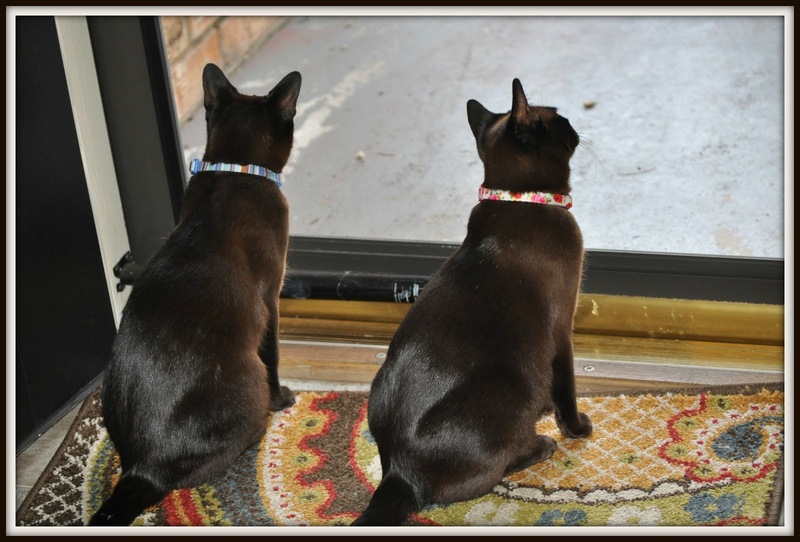 I'm visiting through the Grow Your Blog hop and am so happy to see your blog and your sweet kitties.